Tertullian once said that “the flesh is the hinge, the decisive criterion, of salvation”. What did he mean by this? What he meant was that the full assumption and renewal of the “flesh” by God the Son in the incarnation is of utmost importance for mankind’s redemption. If God the Son did not assume a fully human nature, if he did not renew it completely, then mankind is not fully saved. Crucial to the gospel is the flesh, the worldly. God has descended to earth not to get us out of the world, but to recreate and refashion the flesh according to the divine pattern of life. This is what the early fathers call theosis or divinization: it is to participate in God through the descension of God the Son into our fallen situation. The gospel is principally the glorification of the flesh through the humiliation of the Son. It is the ontological raising up of mortal humanity that lies in death, endowing man with God’s own eternal glory. This of course sounds scandalous, and it is! The shock of the gospel is, as Balthasar says, that “God becomes nothing, so that nothings might become God” (The Scandal of the Incarnation, p 53). How can the ineffable God raise us up in this manner? Surely this is too good to be true! But it isn’t: God has united himself to man and has risen him up to such great heights in Christ. One reason the doctrines of incarnation, theosis, divinization, are so scandalous, is because Gnosticism, though not explicit, is a common presumption within western Christianity. Gnosticism was the earliest of the church heresies. Gnosticism in its most elemental form was “the belief that the lower, material sphere, the ‘flesh’, the world of the ‘psychic’, was contemptible, something to be vanquished, while the higher, spiritual world was all that was excellent, the only thing worth cultivating” (ibid, 1). Therefore the goal of redemption was not for God to glorify the flesh, but for man to escape from the material world into the spiritual life of God. Balthasar explains here the modern influence of Gnosticism: the quest to find God by emptying oneself, by ridding oneself of the objects and materials that “get in the way”. God is that unknowable spiritual principle to which we must escape. This, to Irenaeus, is anti-Christian, precisely because it is ant-Incarnational. Gnosticism is ignorantly rampant in western Christianity. What we must return to is the scandalous gospel of God’s own descent into man’s fallen situation; his very gift of life to raise us up; his very desire to unite heaven and earth! One of the earliest models of atonement was Irenaeus’ recapitulation model. In this model, Christ replaces Adam as the head of the human race by obeying and overcoming where Adam sinned and was thus overcome. Irenaeus famously gets his “recapitulation” idea from Ephesians 1:10, which says that God planned to, as the ESV says, “unite all things in [Christ]”. The Greek word for unite, anakephalaiosasthai, is better translated as “sum up”, or “to bring things together”. Paul uses the root cepha in this word, which is “head”. Irenaeus thus translated it as “re-heading all things in Christ”. The idea here is that Christ is the new “head of all things”. Through his life and death, Christ “re-starts” that which was lost in Adam. Christ is the beginning of a new humanity. The Christ/Adam theme is not unique to Paul, though. Patrick Henry Reardon, in his book Reclaiming the Atonement, argues that Paul’s Christ/Adam theology was actually drawing from a much older tradition evident in other NT writings. The verse is so small one could easily miss the significance: Christ was tempted by the “snake”, and yet has overcome! Thus he began to restore the paradise which Adam lost through his sin. The wild animals are no longer “beasts”, but are becoming tamed and under his headship as Lord. In Luke the Adam/ Christ analogy is subtler, and we discern it in the way the Lord’s genealogy is arranged. To detect this, we may observe two differences between the genealogies in Matthew and Luke. So, Luke carefully situates Christ’s baptism before his temptation, thus alerting us that he is facing the same temptation as Adam. Thus the temptation narratives become a way of retelling the creation story, but under the headship of Christ. 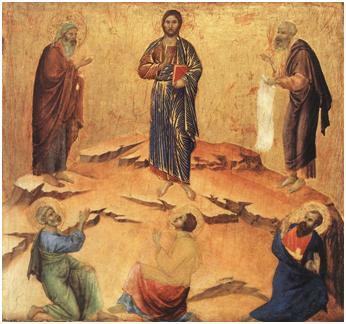 Christ is called to reenact, as it were, the temptation of Adam in the garden and to overcome the effects of sin. One thing that may puzzle some people, is why, after the fall of Adam, God waited for literally thousands of years to provide the remedy to our sin problem. We know that Christ is the only remedy for our fallen state — and yet, God waited for so long to provide this solution. Why did God do this? Why the long and arduous history of Israel? Why the law? Why the sacrifices? Why the priests and Moses and the tribes and all that stuff? This is actually a really good question, and one that requires an answer from Paul himself! In Galatians 3-4, Paul is combatting a teaching that the Mosaic law, with all of it’s ceremonial and civil commands, gives life, or saves. Paul repudiates this pretty harshly, explaining that it is only Christ who saves, and to lean upon the law is to reject Christ himself. Of course then, the question arises as to the reason or purpose of the law. “If the law can’t save, then why would God give it?”, an opponent of Paul might ask. This question is directly related to our question: why this whole history of Israel (which includes Moses and the law and sacrifices etc), if only Jesus saves? Paul gives a profound answer. And in essence, what Paul says, is that law, and the history of Israel, was God’s means to preparing and tutoring mankind for the coming of Jesus. It was a sort of like a preparatory school, to get humanity ready, as it were, to receive Jesus. In Galatians 3:24, Paul calls the law a “pedagogue”, or a tutor, which taught basic principles to humanity. He also compares mankind to children in Galatians 4:3 (“in the same way, when we were children…”). And what Paul is attempting to explain here, is that post-fall humanity, was not only in a state of fallenness, but also in a state of infancy, or immaturity, and had to be “schooled”, as it were, in order to understand Christ. Frank Sheed says of Paul’s explanation here, that “by [Adam’s] sin, mankind threw away the maturity God had conferred upon it, started it off with, so to speak. It had gone after a childish dream and must now go through all the pains of growing back to the maturity it had lost” (Theology and Sanity, pg 187). So mankind was in a sort of childish, immature state, after the fall. And God could not send Christ at that time — why? — because they would not have received him, nor would they have understood him! With that in mind, Paul says that God gave the law to Israel, with all of it’s civil and ceremonial rules, to teach mankind divine principles, which would in time prepare them for the coming of Christ, with the end goal that mankind “might receive the adoption as sons” (Gal 4:5). To follow [Paul’s] analogy through, the Old Testament law was like elementary school for the people of God. The Jews had specific rules to govern their conduct, what the writer of Hebrews called “regulations for the body imposed until the time of reformation” (Heb 9:10). When it came to worship, the Jews had to go to a particular place and offer particular sacrifices in a particular way. Keeping all these requirements was like being in grammar school, tracing the ABCs that were first written by the hand of God. The law, then, was a pedagogue, or a tutor, which gave context and prepared Israel (and the watching world) for Christ! And apparently this divine pedagogy took thousands of years. And, as Paul says, “when the fullness of the time came, God sent forth His Son, born of a woman, born under the Law, so that He might redeem those who were under the Law, that we might receive the adoption as sons” (Gal 4:5). Paul says, that there was a fullness of time, a time when God’s tutelage was complete — and that was the right time to send his Son. [In the time of the OT, God] took His people in hand, teaching them, unteachable as they were, to follow Him. He gave them prophets, accustoming man to bear His Spirit and to have communion with God on earth. He Who stands in need of no one gave communion with Himself to those who need Him. Like an architect He outlined the plan of salvation to those who sought to please Him. By His own hand He gave food in Egypt to those who did not see Him. To those who were restless in the desert He gave a law perfectly suited to them. To those who entered the land of prosperity He gave a worthy inheritance. He killed the fatted calf for those who turned to Him as Father, and clothed them with the finest garment. In so many ways He was training the human race to take part in the harmonious song of salvation. God, the great trainer, the great tutor, prepares mankind to receive Christ!